Linda (Joseph) Chapman, 62, of Bolton, previously of Manchester, passed away peacefully on Thursday, November 29, 2018. She was born on May 6, 1956, in Hartford to the late Benjamin and Ann (Hansling) Joseph. Linda grew up in Bloomfield, attended local schools and was a graduate of Bloomfield High School, Class of 1975. She lived in Manchester for many years before moving to Bolton. Linda worked for 24 years as a Project Manager at Phoenix Environmental Labs in Manchester where she specialized in Client Services and Accounts Receivable. In her spare time, Linda enjoyed spending time outdoors fishing and gardening. She was an amazing cook and her dishes were enjoyed by all who had the pleasure of tasting them. She avidly watched her NY Jets whenever they were on television with her two adorable cats, Lincoln and Bentley, by her side, who will miss her very much. Linda leaves behind her son, Tim Chapman, of Bolton, many family members, and dear friends. 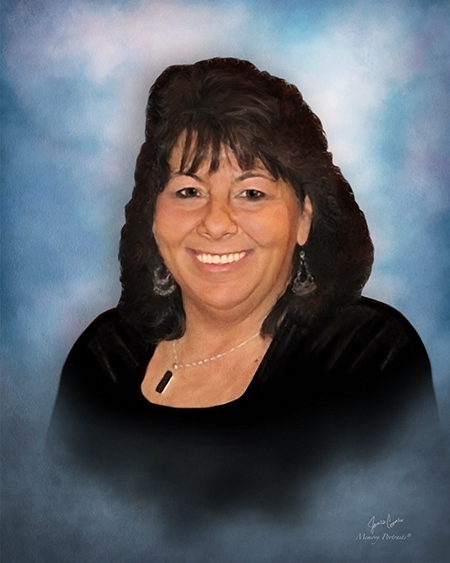 A time of visitation for Linda will be held on Saturday, December 8, 2018, from 9-11 a.m. with a Memorial Service to begin at 11 a.m. at Holmes-Watkins Funeral Home, 400 Main St., Manchester. To leave a message of condolence for her family, please visit www.holmeswatkins.com.